Mahila Seva Samity was born in 1947 to provide relief and rehabilitation to women and children. When partition displaced thousands of people from their homes who began pouring into the newly created state of West Bengal in now independent India, the Chief Minister at the time, Dr. P.C. Ghosh, asked individual citizens to step in and help the victims of partition in any way possible. Answering that call, a number of women's organizations joined hands to form the West Bengal Emergency Relief Committee, which was later named Mahila Seva Samity. Our home is located in the Rajpur-Sonarpur area in 24 Paraganas district of West Bengal, outside Kolkata with land donated by the Government of India. Over the years, these buildings have provided shelter, food, rehabilitation, and training to over 3000 women and children. Mahila Seva Samity is a non-profit organization; all members of its Executive Committee volunteer their time and services without financial renumeration. The Samity is registered under the Foreign Contribution (Regulation) Act, 1976, and all donations are exempt from Income Tax under Section 80(G) of the Income Tax Act, 1961. Smt. Ashoka Gupta, one of the founders of Mahila Seva Samity was the daughter of Kiran Chandra Sen and Jyotirmoyee Devi. She was educated at St Margaret’s School and stood first among girls in her matriculation examination, after which she joined Bethune College and graduated with Mathematics honours. She married Shaibal Kumar Gupta, who was in the Indian Civil Service. She became a member of the All India Women’s Conference in 1936 and took an active part in fund raising and setting up of various welfare organizations and branches of the AIWC. 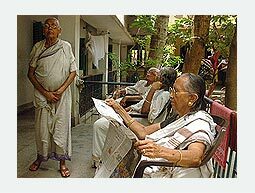 She coordinated the activities of voluntary organizations during World War II after the bombing of Calcutta in 1942 and was involved in relief work at Bankura during the Bengal famine of 1943. During the communal riots in Noakhali in 1946 she led a team of volunteers on behalf of the All India Women’s Conference, Chittagong branch, to bring relief to the uprooted humanity, and encourage and comfort the panic stricken multitude, while at the same time trying to restore communal harmony by appealing to people’s basic humanity under the inspiring guidance of Mahtma Gandhi. Post partition, she shouldered the responsibility of coordinating the efforts of various voluntary organizations that focused on refugee rehabilitation, literacy of dropout children and adults, and the welfare on tribal children and rural women. She was the Chairperson of the West Bengal State Social Welfare Advisory Board from 1955 to 1959 and a member of the Central Social Welfare Board from 1959 to 1969 on the advice of Smt. Durgabai Deshumukh and Dr. B.C. Roy, the Chief Minister of West Bengal at the time. In 1964, in Mana and other Camps in Dandakaranya she organized relief work under the guidance of Smt. Aachamma Mathai, the Chairperson of the Central Social Welfare Board at the time. She served as State Commissioner (Guides) from 1956 to 1967 and State Chief Commissioner, Bharat Scouts and Guides from 1968 to 1974. 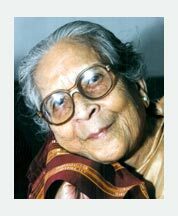 She was associated with the Calcutta University as a Fellow of the senate for a term (1948 – 53), served on the Executive Council of the Viswa-Bharati University (1965-73) and was associated with Palli Sanghathan Vibhag of Viswa Bharati from 1956. She was a member of the Standing Committee of All India Women’s Conference Central Body, a Trustee of the Kasturba Gandhi National Memorial Trust, a Patron of the Indian Society for Sponsorship and Adoption, the President of S.O.S. 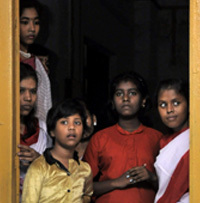 Children’s Village and the President of Mahila Seva Samity at the time of her death in July, 2008. She visited the UK, USA, USSR, Brazil, South America, Japan, Italy, Austria and the Federal Republic of West Germany to participate in various conferences and study programmes. In 1992 she was invited to attend the U.N. Conference of Literacy in New York where she presented a paper on the progress of Literacy amongst women in India and the achievements of the AIWC & AICEIW (All India Committee for Illiteracy amongst Women); there she participated in a debate and workshop attended by representatives of many Developing and Asian Countries. Her publications include Noakhalir Durjoger Diney ( The Dark Days of Noakhali) and numberous articles on Gandhiji’s contribution to women’s development as well as general articles on women’s issues from her perspective as an activist in the field. She was awarded the Jamnalal Bajaj award and D. Litt degree in 2007 in recognition of her lifetime of work with women and children. The money from the awards was set aside for the various welfare organisations she was associated with. Or call our office at +91 33 2248 3005 / 2243 4792.